Canada's wine scene just keeps getting better. I had the opportunity to blind-taste a lot of fine wines at the recent Northern Lands event in Edmonton, and I came away particularly impressed with the semi-cool climate varieties, especially Pinot Noir and Syrah. Given their quality, Canada's best red wines are also good value by world standards. The wines I'm going to recommend here can generally be had for $30 to $50. There aren't many very cheap Canadian wines, but on the other hand, Canadian wineries can't get away with charging Napa Valley prices, even for terrific wines. The wines I list here are all available in the U.S. through a single California-based importer, WineVIP. Most of the vintages are a bit behind the new releases I judged, but the prices are in some cases cheaper than they are in Canada. This was the top Syrah in the event, and Syrah was a very good category. It's intense, dense and fruit-driven with good acid and complexity. I could have savored the spicy aroma all morning. It's not a shy wine -- alcohol is about 15% -- but it's terrific, and I tasted it blind on multiple days. You can buy the 2012 here. This elegant wine doesn't reveal everything right away: you have to spend a little time with it to appreciate its dark fruit and notes of fresh herb and dried flowers. Very well-balanced. This was the best Bordeaux red. You can buy the 2011 here. Burrowing Owl did really well in this competition: its toasty Chardonnay was also delicious. This wine is just what most people want in a Merlot: juicy and delicious, with good depth and a smooth finish. You can buy the 2012 here. Pretty berry fruit with thick but managed tannins and good backbone from the addition of 7% Cabernet Sauvignon. Excellent value. Buy it here. Great value in a varietally correct wine. Neutral nose, but juicy and delightful on the palate. I know most people don't go out of their way to order Canadian Pinot Gris but if you click on the links, you'll see that all these wines come from the same importer, so if you're thinking about buying some Syrah, Meritage and Merlot, you could easily throw in a bottle or two of this and you wouldn't be sorry. Buy the 2015 here. Pinot Noir has emerged as a real strength of Canadian wine on both sides of the country. We had terrific Pinots from Tawse Winery in Ontario, and the eventual Best Red winner was a Pinot Noir from 50th Parallel Estate in British Columbia. I would give you links to these but they're not available in the U.S., and anyway the deserved Best Red award made a unicorn out of the small-production Pinot Noir that won. 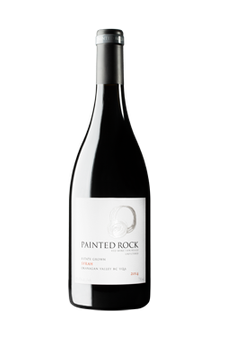 Just generally, check out single-vineyard Canadian Pinot Noir when you get a chance. 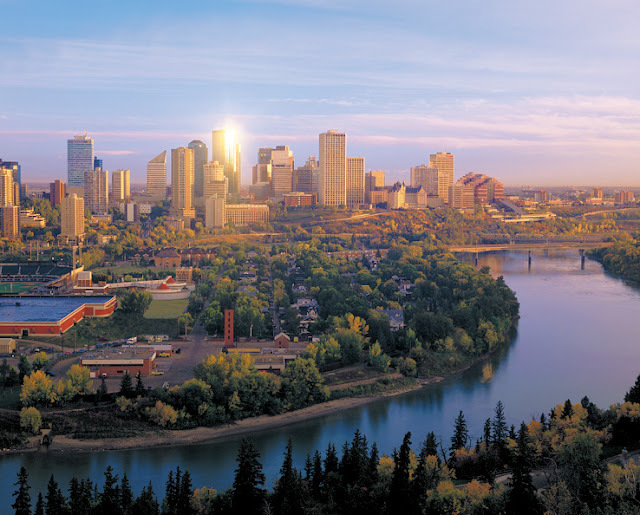 * Northern Lands brings wine lovers from all over Canada, and a few lucky wine journalists like me, to Edmonton. It showcases the amazing food that restaurants are making there, as organizer Gurvinder Bhatia has managed to get most of the local chefs to participate. It has to be the greatest advertisement for Edmonton tourism imaginable. Imagine my surprise, then, when I learned Edmonton's tourism office is not particularly supportive of the event, to the point that Bhatia is not sure he can hold it again. This is short-sighted. I mean, I like an Oilers doughnut at Tim Horton's probably as much as anyone, but nobody takes a trip to Edmonton for fancy-colored icing. And if they do, they're only going to spend $2. Step up, Edmonton tourism. The puck's in your ... wherever pucks go. Whatever. Step up. I have no familiarity with BC wines, but I have been visiting Niagara Peninsula wineries for about 20 years, as we have family there. When we first started to visit, there were plenty of pretty good whites, but very few reds; I commented to my relatives that I wasn't sure that the area would ever make good red wine. But as time went on, I realized that wasn't true. And one of the wineries which you mention -- Tawse -- has really hit it big. We've visited several times, and they really do make some very good wines, particularly Pinot Noir. Moray Tawse has put a fortune into the winery and the vineyards, and it's paid off. The puck's on your stick? It works, but my 30-plus years in the state of hockey (MN), tells me that no one says this. You wouldn't say, "The puck's in your zone," because you don't want the puck in your zone. Puck is in your zone. Thank you Brad. I knew there had to be some onus with the puck.